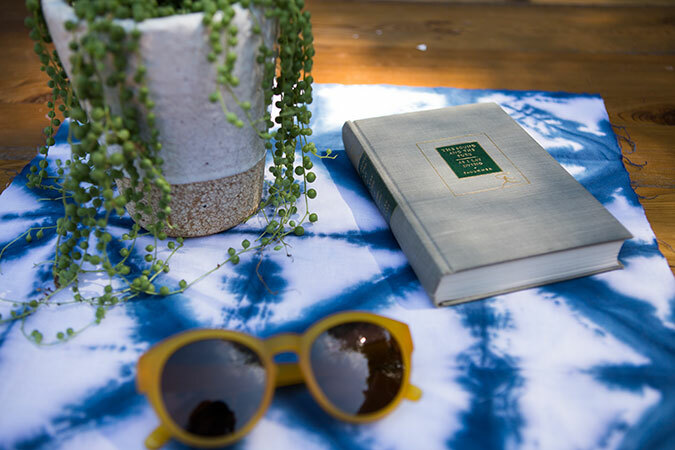 Shibori is a Japanese dyeing method that includes folding, twisting or bunching and binding cloth, then dyeing it in indigo. 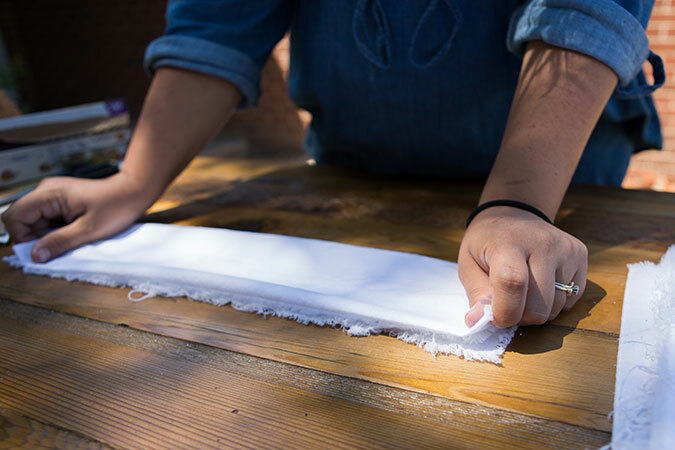 We’ve created a similar effect by using easy, pre-made dye bottles from our local craft store to create one-of-a-kind napkins. Measure and cut out 3” x 3” cardboard triangles. Each napkin will need two cardboard triangles. 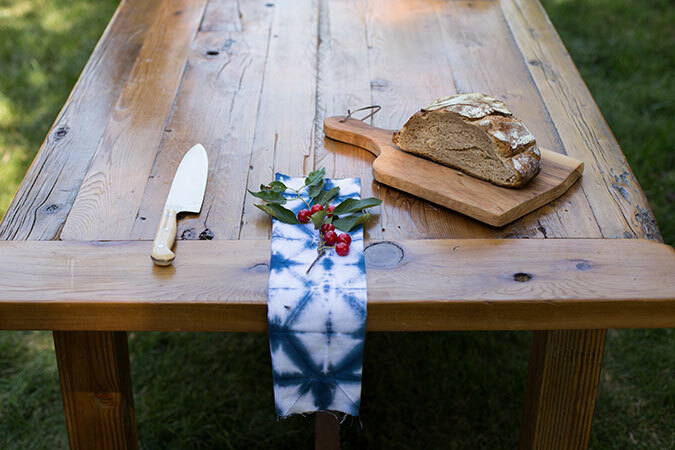 Note: There are many more patterns you can create by searching for different Shibori patterns online. 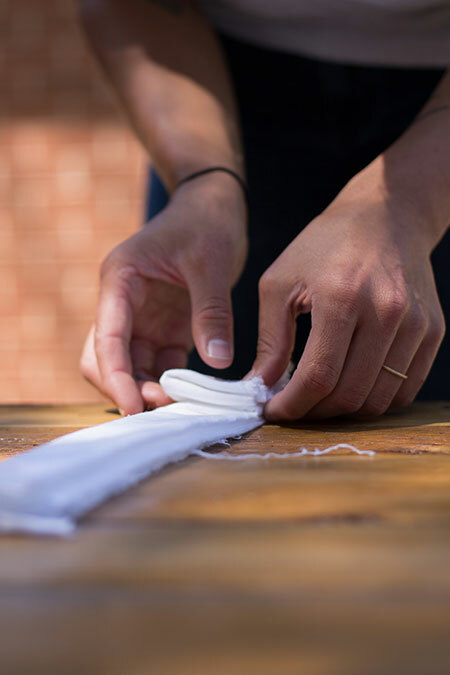 Take fabric and fold in half three times to get a long rectangle shape. To fold, create a triangle shape on one end of the napkin. Fold that triangle underneath to create a flat edge. Fold under and back again. Continue folding under until you get to the end of your fabric, making a triangle accordion. 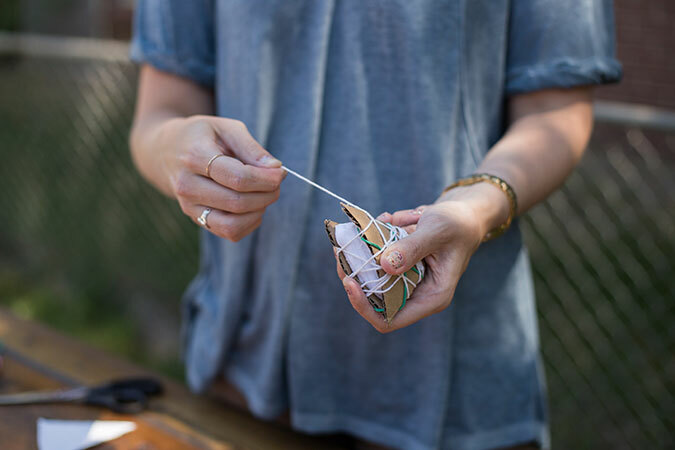 Place cardboard triangles on either side of the fabric, like a sandwich, and secure with several rubber bands. Then tie twine tightly around the sandwiched cardboard. Run your bound pieces of fabric under water – don’t soak completely, just wet enough for dye to absorb all the way through. Wring out water from bundle if needed. Prepare dye bottle according to package instructions. Take dye bottle and soak bound napkins in dye over a protected mixing bowl (kitchen gloves may come in handy to keep hands clean). For a more defined pattern, make sure to soak edges thoroughly so no white shows at all. 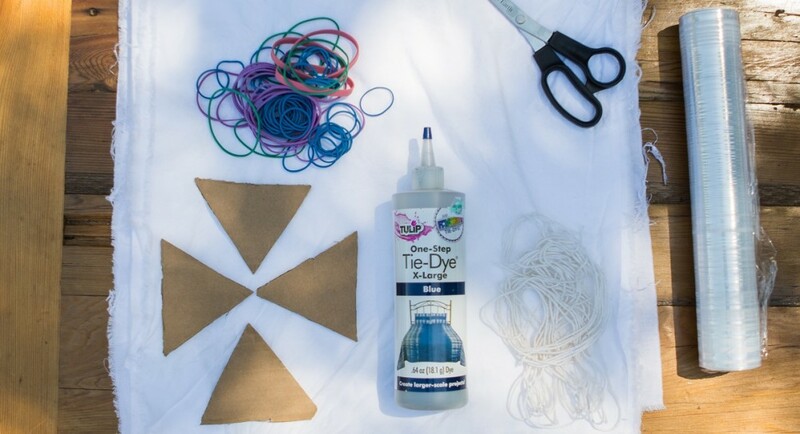 Wrap each cardboard-bound napkin in plastic wrap and let sit overnight to let dye take hold. Then unwrap and rinse in cold water until water runs clear. 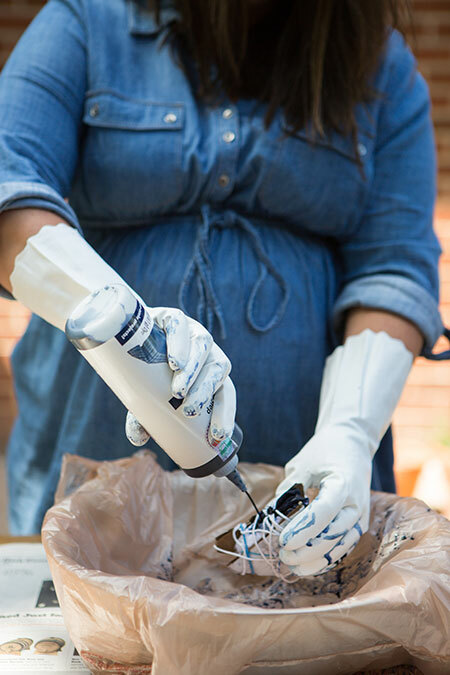 Dry and enjoy your handiwork at your next dinner party! Bre Graziano is the Social Media and PR Manager for MOPS. In addition, she’s the founder of a magazine called Fellow and co-owns an event-planning business. She is a pastor’s wife, new mama and musician. Most days you can find her tearing through the kitchen creating new recipes or planning her next party with friends.